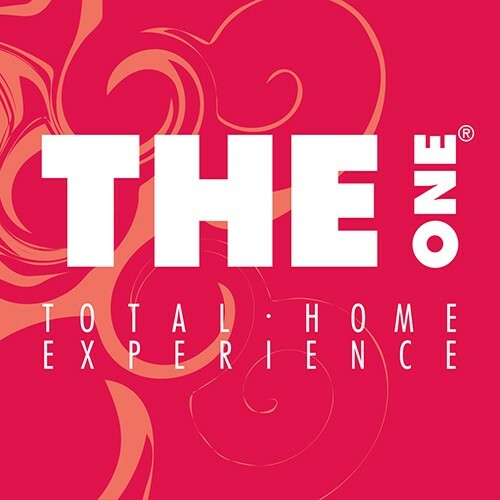 Famed for guaranteeing Affordable Luxury in high quality home fashion, THE One brings you exciting seasonal collections of unique, in-house designed furniture and accessories at exceptional value. Invented by Swedish entrepreneur Thomas Lundgren in 1993 after an angel came to him with a mission to ‘save the world from soulless, overpriced furniture retailers', THE One finally opened its first store in Abu Dhabi in 1996. Since then, the brand has become a firm favourite of stylishly on-trend homemakers and interior decorators in nine countries across the Middle East and North Africa. Born and bred in the UAE, THE One has not only proven that things do grow in the desert, but has also evolved over the years, launching three new brands catering to every budget: FUSION by THE One – featuring higher-end, larger-sized pieces, THE One Junior – an irresistible children’s furniture range and THE One Basics – a no-frills, low-priced brand that offers value products and discounted last pieces from THE One. You can check out all of these brands under one roof, right here in Yas Mall. Welcome to THE Total Home Experience! FUSION by THE One is a high-end furniture brand bringing you Exclusivity with Attitude. Favoured by villa residents for offering large-sized, high quality home fashion products, FUSION caters for varied tastes with its two distinctive styles. RebeLuxe is an edgy, minimal look that strikes a balance between the masculine and the feminine, contrasting rough leather, dark wood, studs and stainless steel with lavish velvet, crystal, fur and mirrored finishes. Sleek, design-led modern classics combine with unexpected statement pieces to lend this style an air of exclusive ‘hotel luxury’. Burlesque, on the other hand, brings drama to decor with its playful theatricality. A decadent mix of plush velvets and furs, quirky, oversized pieces and ornate patterns, this style is big and bold, glitzy and glamorous. THE One’s children’s furniture brand is big on super cool, small-scale versions of adult-sized furniture pieces, perfectly proportioned for little princes and princesses. THE One Junior features everything from elegantly sophisticated mini dressers, dining tables and chairs, to shrunken beds, sofas and armchairs, in addition to fun bedding, rugs, toys, wallpapers, art and lighting. With each piece made to the same exacting quality standards you have come to expect from THE One, it will last your little one throughout their growing years, so you can all live happily ever after. THE One Basics offers bargain hunters a wide choice of low-cost furniture and accessories, including specially designed value products and discounted last pieces from THE One, all at Simply THE Best Prices. It features the full spectrum of homeware, ranging from bed, bath, living and dining room furniture and accessories, to kitchenware, scented candles and even faux flowers.